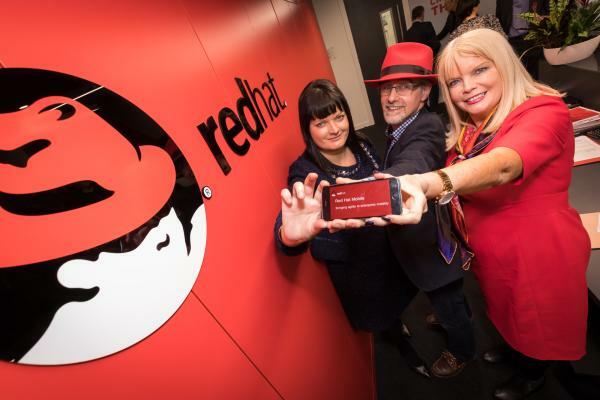 On Monday 6th Feb 2017, Minister for Jobs, Enterprise and Innovation Mary Mitchell O'Connor TD officially opened the new Red Hat offices in Waterford, Ireland. Pictured to the right I'm in the middle with Anne-Marie Tierney-Le Roux from the IDA, Ireland and the minister. The IDA publsihed an agreed press release that also covered the announcement of a succesful Research, Development and Innovation grant for Red Hat.